The Sportswriter by Richard Ford chronicles an Easter Weekend in the life of Frank Bascombe, a failed novelist turned sportswriter. Ford’s breakout third novel grapples with the themes of grief, a failed career, and unhealthy relationships. Bascombe’s story is told in the first person and you get the sense immediately on what kind of man he becomes in the aftermath of losing of his child, Ralph. My life over these twelve years has not been and isn’t now a bad one at all. In most ways it’s been great. And although the older I get the more things scare me, and the more apparent it is to me that bad things can and do happen to you, very little really worries me or keeps me up at night. I still believe in the possibilities of passion and romance. And I would not change much, if anything at all. I would not die. But that’s about it for these matters. Why, you might ask, would a man give up a promising literary career—-there were some good notices–to become a sportswriter? It’s a good question. For now let me say only this: if sportswriting teaches you anything, and there is much truth to it as well as plenty of lies, it is that for your life to be worth anything you must sooner or later face the possibility of terrible, searing regret. Though you must also manage to avoid it or your life will be ruined. I believe I have done these things. Faced down regret. Avoided ruin. And I am still here to tell about it. That section is from very early in the novel and Frank spends the rest of book trying to face down regret and avoid ruin. 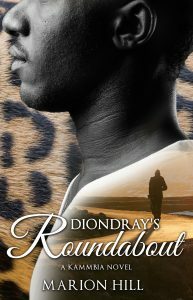 The Sportswriter is a novel of introspection and reflection of a man coming to grips with the bad things that can happen to you in life and choices one makes as a result of it. There is not a lot of action or suspense in the novel, just seeing a man come unravelled and still trying to make the best of it in a bad situation. I must admit that Frank Bascombe was the most unlikable character I had read since Sarah Worth in John Updike’s novel S. Frank’s a cad and a callous human being to the people in his life. However, Ford’s strength as a writer keep me interested to see how Frank’s life would turn out. The Sportswriter is the first in the quartet of the Frank Bascombe Series. The subsequent books: Independence Day, The Lay of the Land, and Let Me Be Frank You continues to chronicle Frank Bascombe’s life as he ages though my journey into this world will stop here. Not because I hated it or it was a terrible novel. 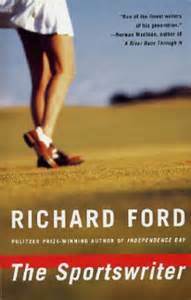 Richard Ford is an excellent writer and I could see why he has received all the acclaim that has come his way. I just did not connect with Frank Bascombe and I’m not compelled to go on any further. Still, I would write that The Sportswriter was one of the best novels I’ve read in 2015 and deserves its place as one of the best works of modern literary fiction.